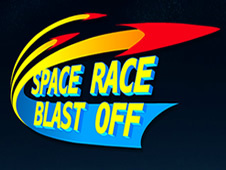 NASA is making strides in their publicity and education efforts with a set of new games- Space Race Blastoff and Sector 33. Space Race Blastoff is a Facebook app that lets you compete with other players in quick, 10-question science trivia rounds. The topics range from general science to NASA missions and astronauts. Of course, I signed up immediately and became addicted for about 10 games, then I started getting repeat questions. BUT, this game is still a beta version, so I’m sure the database of questions will be ever-expanding. Also, I’d like to see a feature where you can directly compete with a friend. All in good time, I’m sure. I haven’t tried Sector 33 yet because it’s only for iPhone, iPad, and iPod Touch. (I’m an Android user.) But you can read all about it in this post at Universe Today. Basically, it lets you try your hand at being an air traffic controller- widely considered to be one of the most stressful jobs. If you start playing Space Race Blastoff, however, lookout- my name on there is Disco Science, and I dare say I’m a force to be reckoned with.